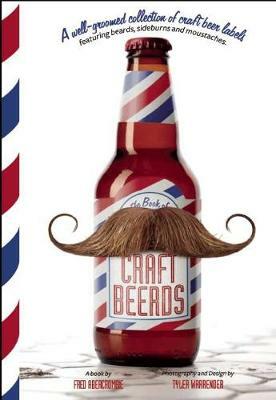 Craft Beerds is a collection of beautifully-photographed bottles and label art that feature moustaches, sideburns, and beards. All from the recent, exponential growth in American craft beer over 100 breweries including Lagunitas, Founders, Dogfish Head, and Three Floyds. There's even a few strays from Canada, too. Instead of lumping them all together, the beers are broken into fun themes. So monks, priests and even a Gandhi robot can be found in the Heavenly Beerds section. Ruling Beerds feature Kings and Kaisers. There's even an Incognito Beerds section showcasing all the labels with those fake nose and moustaches (Dogfish Head had to cover their drawing of Johnny Cash with a fake 'stache to avoid legal issues with his estate). Over thirteen themes in all will have you looking at beer shelves much differently the next time you're shopping. The book is peppered with tidbits on the stories and people behind the artwork, Craft Beerds appeals to beer geeks, art and design fans, and pop culture junkies alike.